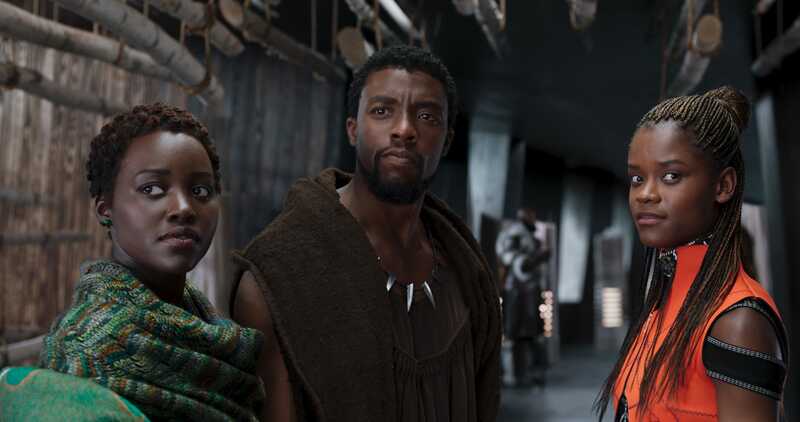 Marvel Studios is always planning ahead, so it’s no surprise that after the massive success of “Black Panther,” Marvel Studios president Kevin Feige says there will “absolutely” be a sequel. Marvel has release dates reserved for yet unannounced projects through 2022, and we can only assume that a “Black Panther” sequel will fill one of those slots. 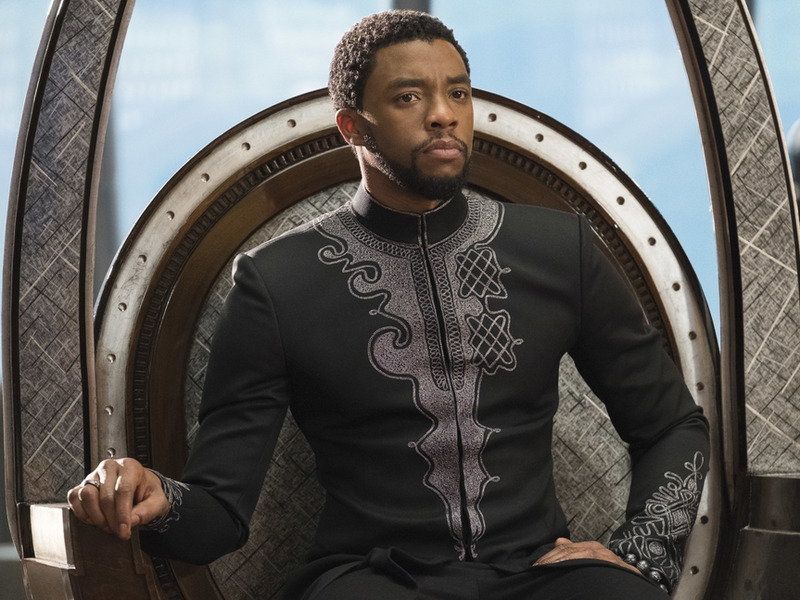 Whenever “Black Panther 2” may come to theatres, we have plenty of questions in the meantime, and things we want addressed. “Black Panther” is only the beginning of the world of Wakanda, and we want more. By the end of the film, T’Challa/Black Panther decides to bring Wakanda out of isolation and share the nation’s resources with the rest of the world, including opening outreach centres in Oakland. 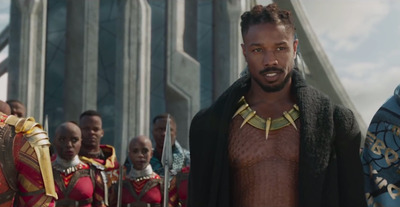 As misguided as Killmonger’s execution was, he’s such a compelling villain that his ultimate goal sticks with T’Challa. This raises important questions for the sequel, as the world has its eyes on Wakanda. Black Panther will appear next in “Avengers: Infinity War” next month and we can assume the fourth “Avengers” movie next year. But Black Panther is one of over 20 main characters in these movies, so we doubt the questions we have will be fully addressed. 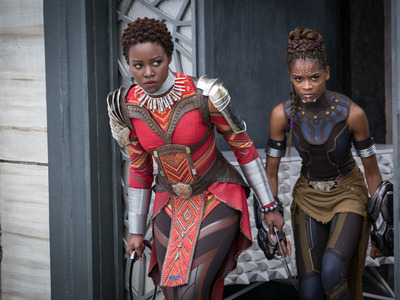 What’s up with the other Wakandan spies, known as War Dogs? Michael B. Jordan’s Erik Killmonger is one of the most compelling villains in the Marvel Cinematic Universe, or any superhero film for that matter, because of the political and cultural questions he raises. The central conflict in “Black Panther” comes down to whether the fictional African nation of Wakanda, which Black Panther a.k.a. T’Challa (played by Chadwick Boseman) is king of, should share its resources and scientific knowledge with the rest of the world. Killmonger raises the stakes even more by wanting to use the nation’s resources to liberate those persecuted across the world, but with violence rather than peace. A central part of his plan comes down to whether Wakanda’s spies, known War Dogs, which they have in countries throughout the world, are willing to cooperate. The War Dogs are responsible for spying on other nations and reporting back to Wakanda. In the film, Killmonger plans to begin his conquest in the places where War Dogs are on board with his plans. Killmonger’s own father, played by Sterling K. Brown, was a War Dog and was killed by T’Challa’s father (and his uncle) for betraying Wakanda. These War Dogs seem pretty important, so where do their loyalties lie? Some of these War Dogs were obviously all for Killmonger’s plans, which raises the question of whether they could mean trouble for Wakanda in the future now that Killmonger is dead. Will that play a role in the sequel’s conflict? Wakanda is no longer in isolation. What impact will that have on it? By the end of “Black Panther,” T’Challa has changed his tune about the direction of Wakanda. 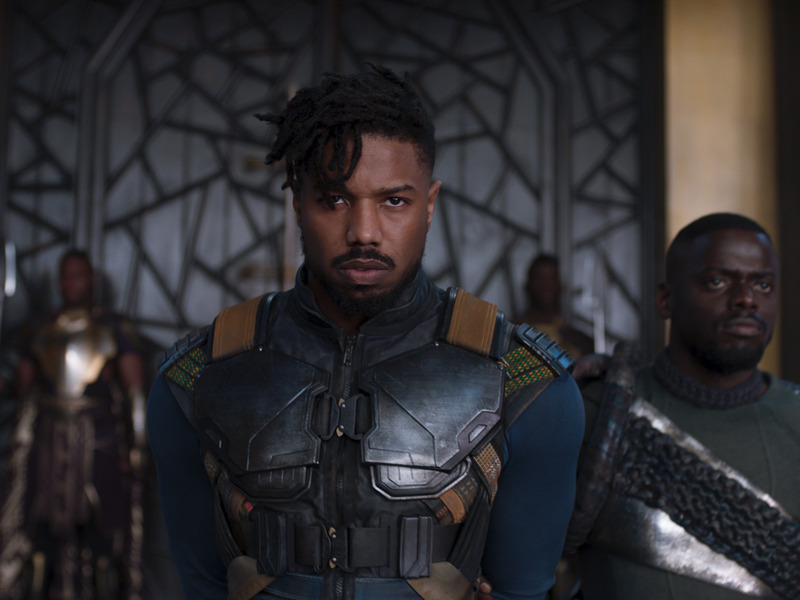 Killmonger’s methods may have been extreme, but his overall goal – to expand Wakanda’s resources to help those in need – leaves an impression on T’Challa. Wakanda has always been isolated from the rest of the world, but he decides to expand their knowledge and share their secrets by the film’s end. How will that impact the country and its people? We don’t really have an idea of how Wakanda’s people feel about T’Challa’s decision. Were they fine with being isolated, and if so, will they voice their concerns in the sequel? Will it cause a bigger conflict than the one we saw in “Black Panther?” Now that the world knows about Wakanda and its wealth of technology, it could put the country in danger. From what we know of “Avengers: Infinity War,” a portion of the film takes place in Wakanda against the villain Thanos’ army. These questions may be raised then, but with the central conflict being between the Avengers and Thanos, they probably won’t be fully answered. How will vibranium change the rest of the world? Not only are we curious about how the rest of the world will change Wakanda, but how will Wakanda change the world? 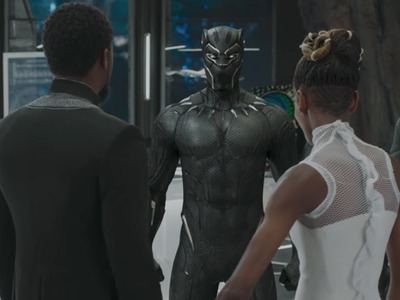 Vibranium is a metal that essentially powers every aspect of Wakanda, from its transportation to its weapons – it’s why Wakanda has such advanced tech. With Wakanda out of isolation, the world will most likely know about vibranium’s existence, outside of just Captain America’s shield. If T’Challa wants to spread Wakanda’s knowledge, that must mean that other nations will benefit from the metal. How will that impact the world? By the end of “Black Panther,” T’Challa has promised to build outreach and science centres in Oakland, but that is only the beginning. Will we see other countries use vibranium in similar ways as Wakanda, or will its power corrupt? Will Wakanda be responsible for implementing advanced travel or weaponry for other countries? We don’t know the extent of T’Challa’s plans, and perhaps that will cause major conflicts with other nations. How much will race in America be addressed? Racism and racial divisions were explored in “Black Panther” – as a black man who grew up in America, Killmonger had an entirely different perspective on race and it’s part of what drove his rage. But the film didn’t exactly tackle the issue head-on since the majority of the film takes place in Wakanda. Now that T’Challa is setting up outreach centres in Oakland, we know Wakanda will have more of a presence in America. This will set up themes and conflicts, but we don’t yet know exactly how far the sequel will go. Killmonger burned the source of Black Panther’s powers. Will that be a problem in the sequel? After Killmonger seemingly kills T’Challa to take his place as king of Wakanda, he orders that the source of Black Panther’s power, the heart-shaped herb, be destroyed. He does this so that only he can be the king of Wakanda. The herb is a Wakandan plant that gives the Black Panther superhuman strength, speed, and reflexes. T’Challa drank from the last of it before the film’s climactic battle, but with the rest destroyed, could that be a problem in the future? Maybe there is more of it somewhere in Wakanda, but the film definitely makes it seem as if the last of it is destroyed. The Black Panther is only stripped of his powers in ritual combat for the king’s throne, and that probably wouldn’t happen in a sequel (since it happened twice in the first film). But if T’Challa is suddenly stripped of his powers again somehow, he won’t have the herb to regain them. And it’s not as if T’Challa will be the last Black Panther: Someone will eventually take his place when he dies. Will the lack of the heart-shaped herb be addressed in the sequel? Will T’Challa and Nakia get married? MarvelNakia and T’Challa’s sister Shuri in Black Panther. A king needs a queen, and T’Challa isn’t secretive about the fact that he wants Nakia, played by Lupita Nyong’o, to be his. By the end of “Black Panther,” love is in the air between them, so will that play a role in the sequel? Will we see a royal wedding? Part of what made “Black Panther” so great is that the women weren’t contained to typical romantic roles like in past Marvel films. We hope that if this relationship evolves, Nakia’s character will continue to be a force to be reckoned with. Who will the sequel’s villain be? It will be hard to top Killmonger, but it wouldn’t be a Marvel film without a villain. 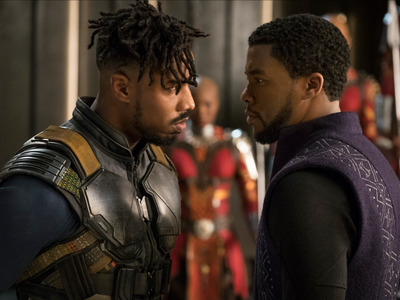 Black Panther doesn’t have a large cast of villains to choose from in the comic books, but the first film manged to turn Killmonger into the Marvel Cinematic Universe’s best villain. Hopefully a sequel could pull off similar magic. In the comics, M’Baku a.k.a. Man-Ape is a central Black Panther enemy. 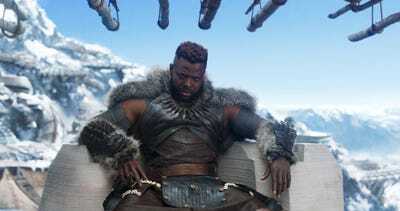 In the film, M’Baku is played by Winston Duke. A conflict is set up between T’Challa and M’Baku, but very different from the comic books, so it’s hard to say whether M’Baku could pose more problems in a sequel. Our guess is “no” based on how M’Baku is depicted in “Black Panther,” as he provides the film some comic relief and ends up helping T’Challa against Killmonger. One interesting option would be to pit Black Panther against Namor, who, in the comic books, is the king of Atlantis. The character is largely a Fantastic Four character (owned by 20th Century Fox) and details of Disney’s acquisition of Fox are still developing in terms of whether the Fantastic Four and X-Men will play a part in the future of the MCU. But if Namor were to appear in this universe, he would be a formidable adversary for Black Panther. With Wakanda showing itself to the world, it might pave the way for other secret empires (like Atlantis) to reveal themselves, and could spark an interesting conflict.